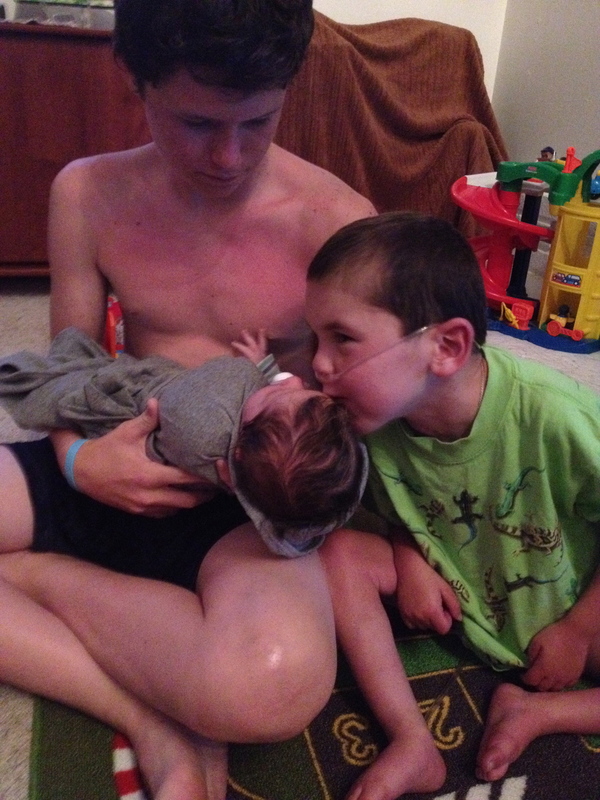 Rudy sharing the love to our new friend Zeke! It sure is fun to watch Rudy’s personality emerge more and more as he becomes more mobile and more verbal. He’s so happy and goofy. He has a great sense of humor, is inquisitive and has an astute sense of things going on around him. When he hears a loud noise coming from the kitchen or picks up on a change in my intonation, he’s quick to ask “What happen Mom?”. He has such a big heart and is beginning to express concern for others with a pat on the back and a “How’s it goin’?”. I was thrilled this week when Rudy crawled over to the chair I was sitting in, pulled himself up and clearly said “I wuv you” without being prompted. Music to my ears, for sure! These are qualities we hope for and try to nurture in all our kids and it’s thrilling to see them freely flow from Rudy now too. Ironically, as Rudy’s figurative heart enlarges so is his actual heart. We touched base with Dr. Harake last week and Rudy’s heart is continuing to get bigger…it’s a slow trajectory but the development of Rudy’s overworked half-a-heart is definitely unfolding as predicted. In addition to the notable change in Rudy’s heart size, Dr. Harake’s pulse oximeter (which normally reads Rudy’s O2 sats in the low 80s) couldn’t get a reading higher than 71%. Rudy’s low O2 sats could be attributed to the increase in his physical activity but it’s something to keep an eye on for sure as the severity of Rudy’s heart failure would be assessed by a number of variables including chronic low O2 sats. After the echocardiogram, Dr. Harake also “downgraded” the tricuspid valve leakage from mild/moderate to moderate…another variable in the big picture. 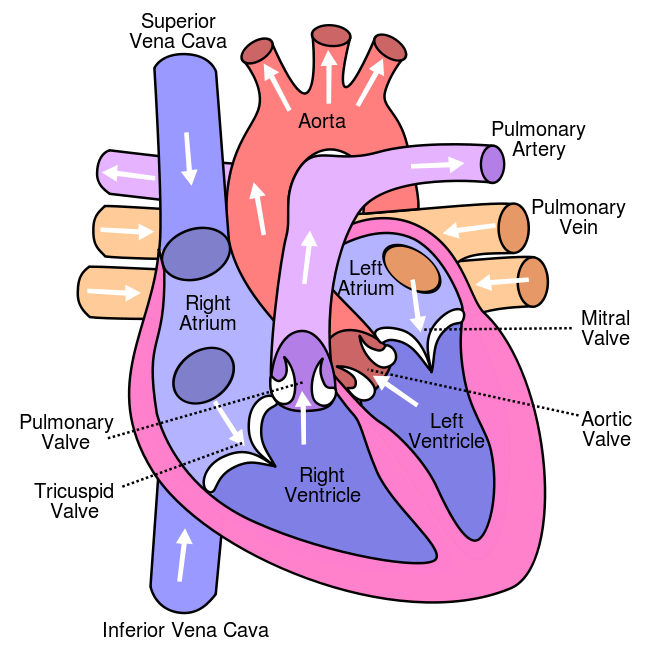 The tricuspid valve is located between the right atrium and right ventricle and it serves to prevent back flow of blood into the right atrium. Diagram of a full, healthy human heart. 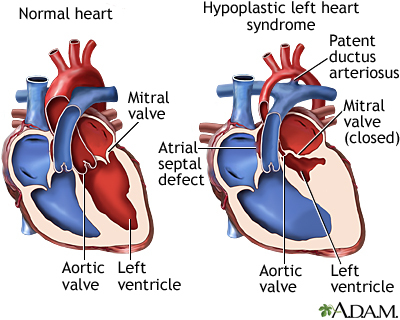 As Rudy’s compromised heart compensates, the right ventricle enlarges so that it can pump harder and this causes the tricuspid opening to become stretched out and floppy…this causes the valve to “leak” blood back into the atrium which creates unnatural pressure and causes the ventricle to work harder and get bigger…etc, etc,etc! A vicious cycle! One big “heart failure” indicator that we are NOT seeing yet is lethargy. Although we’re seeing an increase in cyanosis, we’re not seeing a drastic change in Rudy’s energy level which is why I’m not panicking. Dr. Harake is going to discuss the latest information with the UCLA team and decide whether or not to get a heart cath on the calendar. Although I’d like to spare Rudy the discomfort of a heart cath, an updated look at all the things they can measure in a cath would be comforting to me…we’ll see. Rudy’s next visit to the heart clinic at UCLA is July 3rd. I guess it’s fair to say that we’re “on alert” but also very much aware that the road to full on heart failure could be a long one and so patience and discernment are key as we continue to monitor the situation from day to day. As always, we sure appreciate your prayers!! Previous Post Happy Summer 2014! Thank you for sharing, Trish! Rudy is quite the charmer, I must say. Love and prayers to you all. Prayers continue for Ruddaayyy, and all the kids for a summer of blessings topped with fun.. special prayers to you dear friend and Rolf for your vigilance and peace that surpasses all understanding as you continue to gracefully express Joy in the moments. Thanks for the update…..got my Rudy bracelet on….in my prayers! Give Rudy a hug for us! I’m praying that your summer is rich with fun family experiences and a good dose of R&R too!!! Love you! My goodness, Trish! How do you DO this? Live with the uncertainty and the terror? I’m one week out from some messy foot surgery, in much more pain than I anticipated and so highly suggestible it’s almost funny. I wouldn’t survive having a kid with Rudy’s condition. You and Rolf are simply magnificent. I know this is so very hard for you both, but you manage it with joy and zest, commitment and acceptance. Love to all of you from this heavily pillowed bed in Montecito! !